Cyprus is divided since 1974, into two antagonist states: on the southern part, the Republic of Cyprus, predominantly Greek, and a state member of the European Union since 2004; on the northern part, the Turkish Republic of Northern Cyprus, predominantly Turkish and internationally unrecognised with the exception of Turkey. The ongoing negotiation process between the two sides has begun in 2008 and continued almost uninterrupted to this day, when talks have reached such a momentum that the possibility of a united Cyprus seems to be more present today than ever before. Mustafa Akinci, President of Northern Cyprus, and Nicos Anastasiaded, President of the Republic of Cyprus, recently announced that they will meet again, on November the 7th, in Mont Pelerin, Switzerland, to advance the Cyprus talks addressing the issue of territory, one of the most controversial chapter of the negotiations. Regional dynamics in the Eastern Mediterranean have also crucially changed. 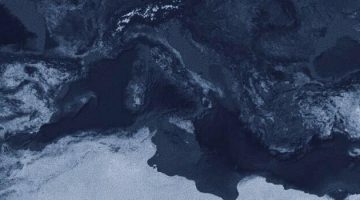 Notably, substantial hydrocarbon discoveries outside the coasts of Egypt, Israel and Cyprus have brought new dynamics to the region, providing a fresh source of interest to keep the dialogue open and envision new forms of collaboration across borders. While countries are competing to become the “energy hub” in the region, the long-standing Cyprus question remains an impediment to the free flow of gas across the Eastern Mediterranean, as well as from the region to the European market. On July 22nd, Cyprus conducted the third bidding round in the Aphrodite gas field. Later, on September the 7th, Cyprus and Egypt signed the first among three agreements that involve gas to be transported from Cyprus EEZ to the LNG plant in Idko, 40 km east from Alexandria. Energy has emerged as a potential boost to economic growth, and leaders from both sides of Cyprus started to integrate the issue in their declarations concerning the settlement: on October 13th, Mustafa Akinci stated that this could be a peace project for everyone, referring to the possibility of building a pipeline to connect Israel and Turkey trough Cyprus, once the island was reunited under one state. Turkey still remains a big question mark when trying to foresee the future of the ongoing negotiations. Turkey has not yet recognized the Republic of Cyprus and, according to the UN Secretary General, little less than 30,000 Turkish troops are still settled in Northern Cyprus. As the reunification talks reach the most controversial of the issues at stake (territory at first, followed by security and guarantees) the position of Turkey can play a fundamental role. In 1960, when the British colonial power left the country, Greek, Turkey and the UK singed the “London-Zurich agreements,” a document outlining the structure of a united Cyprus, based on a complex structure of consociationalism. The document stated that a small battalion from each signatory country was to remain on Cypriot soil in order to guarantee the survival of the newly independent state. When Turkey invaded the country, responding to a series of armed assaults targeting Turkish Cypriot communities, the magnitude of Turkish military presence in the country escalated vertiginously and never went back to the provision of the London-Zurich agreements. Today, Greek Cypriots demand the complete withdrawal of the military, while Turkish Cypriots insist for Turkey to remain one of the guarantee of the settlement. Turkey is currently going through an extended state of emergency put in place after the failed coup of July 15th. On one hand, the need to cope with the internal state of affairs might provide a disincentive to employ energy and resources outside its territory. On the other hand, the need to prove the strength of Turkish military might prevail, and Cyprus would be a great scenario for projecting power under the eyes of the entire international community. The conflict in Cyprus was originally between enosis, the Greek term for union, and taksim, Turkish word for partition. Today, President Anastasiades appeals to everyone to join hands, in order to turn Cyprus into a country which will be an example of Christians and Muslims living together in peace. If negotiations reach a conclusions by the end of the year, people from both Cypriot communities will be asked, once again, to make a decision upon peace. And if peace is finally achieved, the Cyprus settlement will become a new milestone of liberal peace-making, such as the Good Friday agreements have been: a combination of economic interests, weighted external mediation, and good leadership. However, we have recently been reminded by the failure of the Colombian peace process that a good leadership is not only one committed to peace, but also one that remains in tune with its parliament and electorate. Referenda can be a dangerous tool: leaders on both sides of Cyprus should be mindful of their fellow citizens, and make sure that this is truly and thoroughly a peace process for everyone.